This MatrixTank Tandem MTB Frame is another fine product from the Matrix brand name. It has been designed and built with both quality and strength in mind. Made from combining aluminum lugs and carbon fiber tubing to also help in minimizing its overall weight. 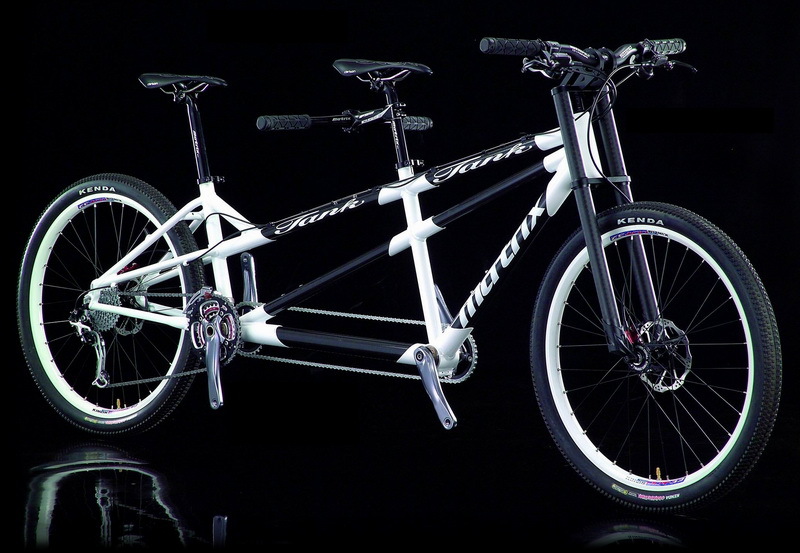 It's an ideal of transport for two, either for commuting around town or adventures out into the countryside. Available in three size options either F20"/R18", F18"/R15" or R18"/R18". Not ship to UK, Africa, and the Middle East. For Central America and the Caribbean, South America countries, please contact us for a shipping quote. Tyre size compatibility: 26" or 27.5"